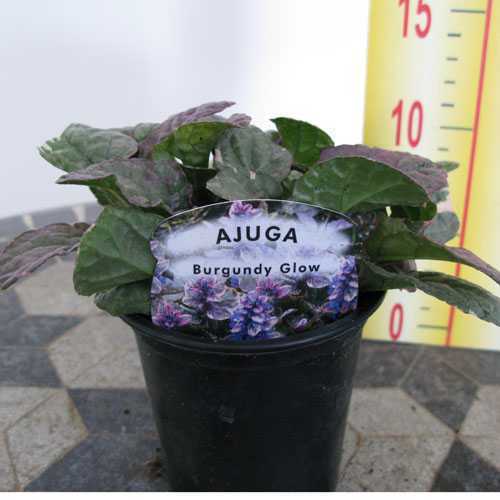 Ajuga Reptans Burgundy Glow Bugleweed Carpet Bugle has bright blue flowers over pretty foliage in shades of pink and white. A form of the native bugle found in grasslands and light woodlands. Ideal for ground cover patio pots hanging baskets and containers.